A number of members have asked us how to make their profiles in our mobile app more robust so they can stand out in the mobile app and so people can recognize them. 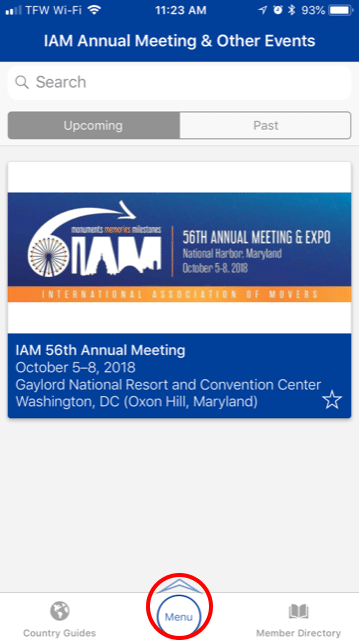 This is an easy process and very important to get the most out of your app and Annual Meeting experience. 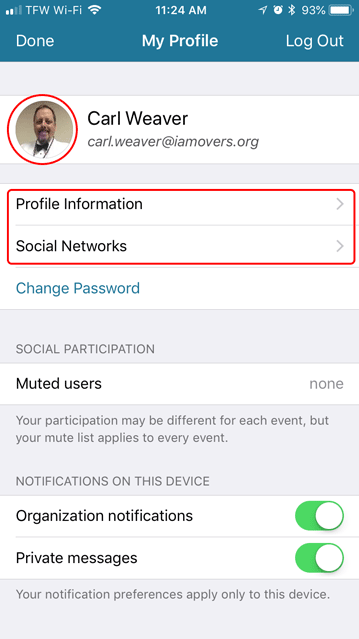 First, open the mobile app and select the round “menu” button at the bottom. 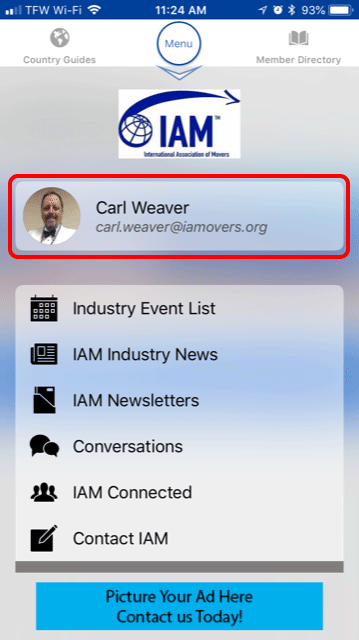 Then select your name under the IAM logo. Next, select either Profile Information or Social Networks. Select any line to add or change information in your profile, including adding a photo. There you can enter your social networking information directly.